It has been reported that Milwaukee has come to terms with outfielders Trot Nixon and Chris Duffy. Both deals are of the minor league variety and come with invites to Spring Training. Nixon, 34, has 137 homers over 12 seasons and is a career .274 hitter. Duffy, 28, is a speedster but was the odd man out (more like 5th outfielder) in Pittsburgh last season and spent considerable time in the minors - where he also struggled. You have to figure at least one of these guys will spell Milwaukee’s last remaining outfield vacancy. Were these the lefties you had in mind? Editor’s Note: The Brewmors post has grown beyond a simple blog post. It was just too big. So, we’ve created a whole page dedicated to the Brewers’ trade and transaction rumors and speculation. You can check it out HERE. Bookmark the page. In the future, we’ll include a link to it when we discuss free agency or trades and you can also click on the link to it under “RFB Features” in the sidebar on the right. We’d love your help too. 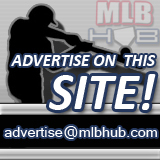 If you find a link to some new tidbit we haven’t put on the site yet, e-mail it to jared@rightfieldbleachers.com.